A BUBBLING CAULDRON: One Lucky Dude! 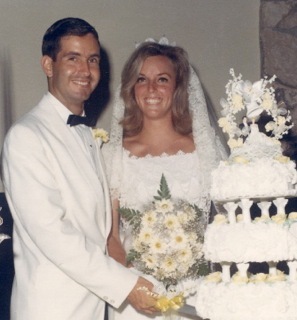 Forty-eight years ago on this date I became the luckiest man alive! Yep, on this date, my sweet and VERY patient wife, walked down the aisle of the little old Saint James Episcopal Church on Via Lido - the one before they tore it down and replaced it with an office building pretending to be a church - and joined me in saying the vows that would launch us on this most wonderful of voyages! TODAY'S THE BIG DAY.... AGAIN! 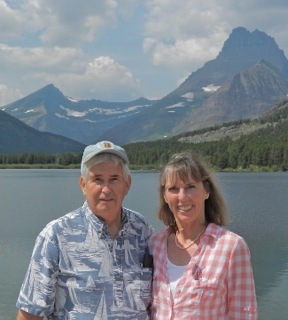 Today, my Sweet Susie and I celebrate our 48th wedding anniversary! Lucky me, huh? Some guys have to wait until they're my age now to capture their "trophy wife" - I got mine right out of the chute, the first time around! Mazes Tov Geoff and Sue! Congratulations to both of you. You are both blessed. Congrats Geoff! Like you, I am fortunate to have married up! I see where the pathetic racist left you an anniversary greeting in his own inimitable style. If he wasn't such a deplorable pile of cow excrement, I would almost feel sorry him. He has such a small existence, he has nothing to comment about but ridiculous digs at you. One would have to be so deeply desperate for any happiness in his own life to try and get some sick joy out of trying to hurt others. Many more happy years to both you and your better half! Thanks, I saw that... how pathetic is he? I mean, here's a guy who touts himself as having a intellect that qualifies him for Mensa, but wastes all that prodigious talent in the most despicable, disgusting lines of drivel one can imagine... and some you actually cannot. He's been mad at me since I first began writing more than a decade ago... feels I'm so much his inferior that he shouldn't even have to be on the same planet with me. Then, again, he's led a life of unfulfillment - he used to blather on and on about having been a Marine, and actor, a lawyer, a real estate agent and, of course, an author. He uses as his high water mark of accomplishment the fact that David Duke thinks he's a great writer. That a pretty low bar if you ask me. Yes, his racist drivel apparently appeals to a few folks around the country and, maybe, even in Costa Mesa. He's found a new captive audience over at the CMPS, where dissent is not permitted and those who dare to challenge those in charge are ousted - even if the offending comments are posted elsewhere. Congratulations, Geoff and Sue! I can see the joy in your wedding photo, and 48 years later. P.S. Your lovely bride is indeed a trophy!